At the beginning of the month my skin started playing up a little and on a whim I decided to give this moisturiser a go to try keep spots at bay. The Cleanance MAT Mattifying Emulsion is a light moisturiser formulated to regulate oil production and contains oil-absorbing properties for a mattifying effect. My skin seems to love this so far and I’m barely getting any spots so I’m definitely going to continue using it morning and night. I may even try a couple more products from the range. Whenever I pass an Essence stand in Wilko I have to see what new products I can spot and on my last visit I noticed this Multi-Action Mascara which I believe is new. I don’t want to give too much away as I’m going to be writing a full review, but for just £2.50 this is an AMAZING mascara! 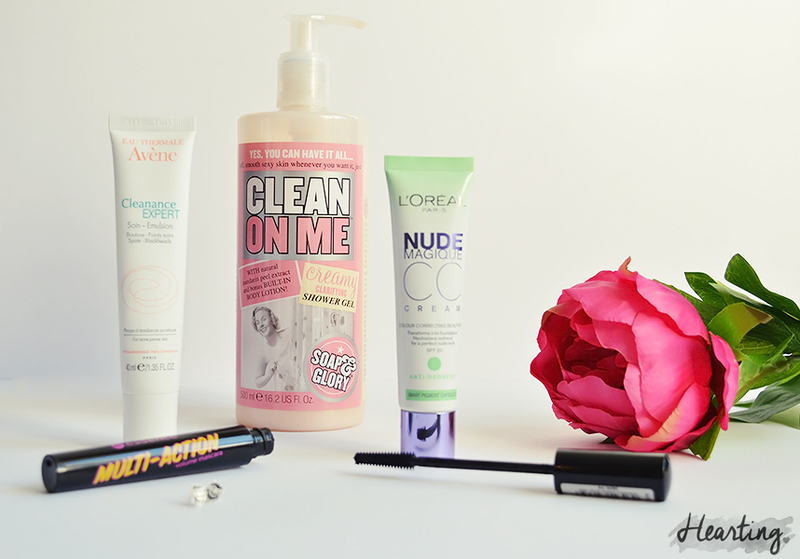 I might even love it as much as my favourite SEVENTEEN Falsifeye HD Mascara! I am loving this CC cream! My sister swears by it and so I thought I’d give it a try myself. It’s lovely for days when I want a lighter coverage and it still does a good job at masking minor imperfections and redness. It comes out of the tube green and then as you blend it into the skin it adapts to your skintone. This Soap & Glory shower gel was a belated Birthday present and this might sound a little strange, but I look forward to showering just so that I can use this shower gel! It smells amazing and it leaves a light fresh scent on the skin whilst also being really hydrating. 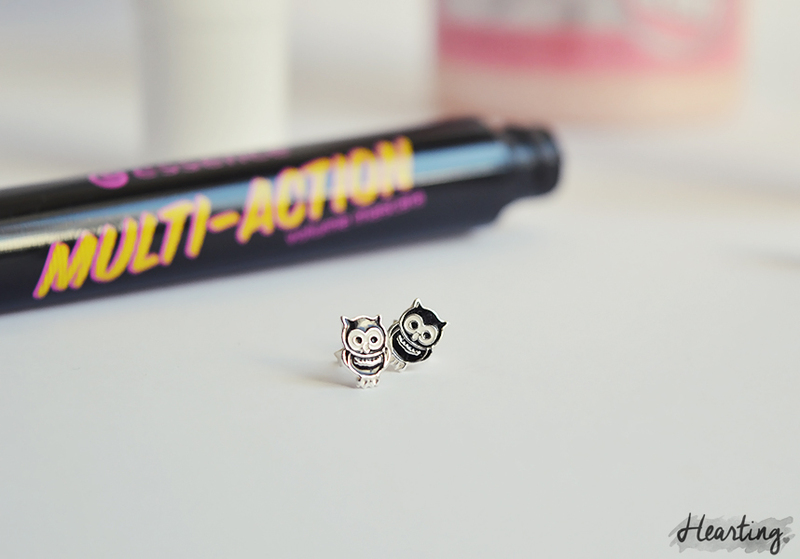 My love of all owl things is still going strong and so when I spotted these adorable owl studs there was no way I could resist them! They haven’t left my ears sine and they’ve definitely been my favourite accessory this month.